A comprehensive fuel management tool geared towards small business owners to save them time and money with fueling expenses. This program gives you visibility into driver spending with the use of Driver IDs and purchase controls. 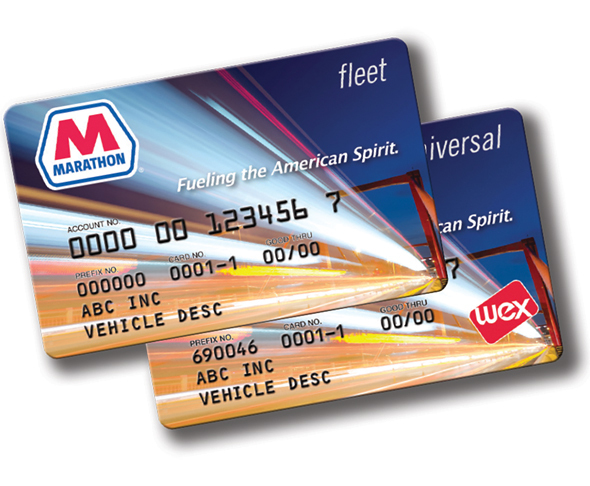 Fill up at over 5,600 Marathon stations with the Marathon Fleet card, or enjoy wider acceptance with the Marathon Universal card. Call Jason at 904-315-3176.